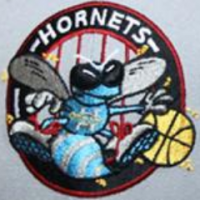 and just about every other Hornets logo / team to exist in the NBA. @AndrewJoseph17 say does the program you have, have any photos of players wearing teal and purple hats? @NemRaps whatever their in to, i guess im not, is it the tide pods again? ot the hedgehog? @kate_ball oh, sorry, I'm not at all trying to harm, or to be mean, just helpful. @KnightsBaseball is there a hat to go with it? @ItCanWait marty I think we're in some kind of advertisement! @kate_ball ??? he's in paradise now. losses are sad, shattering, and shocking as can be, but humans don't live forever. @KnightsBaseball @ArmorShoppe i need that replica 1988 orioles AA Southern League jersey. @ItCanWait I would never text and drive in my life ever, I actually hardly text at all ? @KevLAbeast would you ever consider doing a video on your hat collection? @MoonPencilLuna heck then wont twitter have to pay for its twitter account? and same for all other social media platforms?